Most tenants and property owners do get rental agreements done and the terms included in it are more or less similar throughout the country. While everyone’s focus is on the common factors like rent or lease amount to be paid by the tenant, advance deposit, term of the agreement, etc, not many people bother about how to terminate the rental agreement. But what if you suddenly land in a situation in which you will have to move into a new house? Automatic termination is the end of the agreement which usually happens at the completion of the term. For instance, in a rental agreement, if the agreement’s term is mentioned as 11 months, then at the end of 11 months, the agreement is automatically terminated. But if the tenant wants to vacate before the term is completed, then he should give a notice according to the agreement terms. For example, if it is mentioned in the agreement that notice period will be 2 months, then the tenant has to inform the owner 2 months earlier that he would be vacating the rented premise. 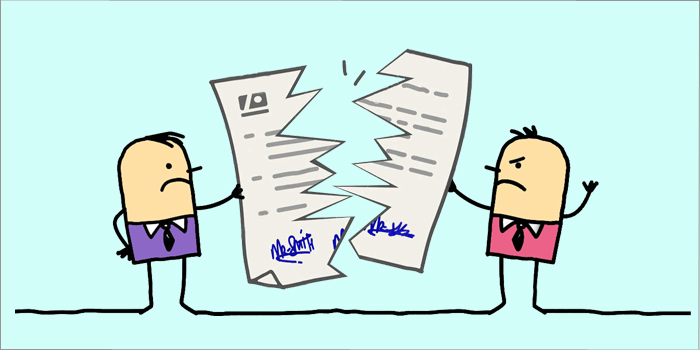 Terminating an agreement is equally important as initiating an agreement. A better understanding of what is and how to’s of termination will come in handy when you happen to face such situation in future. The Termination clause mentioned in the rental agreement is very important. The tenant as well as the owner are legally bound to what is mentioned in the clause. According to the clause in your rental agreement, if notice period for termination is mentioned as two months, then the tenant or the owner has to inform two months prior about the termination. If the tenant cannot wait until the notice period is over, then he will have to pay rent for the notice period even if he doesn’t stay in the rented house. It is advisable to either party to provide a written notice to avoid confusion. If both the parties, the owner and the tenant, have no objection in terminating the agreement, then there are likely no risks. In case the owner demands for few months rent and any additional charges, which is in accordance to the agreement, then the tenant is bound to pay. All electrical, maintenance and water dues should be cleared by the tenant. The premises should be cleaned and if any damage has occurred to the property by the tenant, then it should be repaired or replaced. The owner has to inspect the property and confirm that everything is in proper shape. The owner has to sign and give his declaration that he inspected the property and no damages have been seen. The entire deposit money has to be returned to the tenant by the owner, after making sure that all dues are paid and no damages have been made. Finally, both parties can sign the rent deposit settlement agreement, if needed. 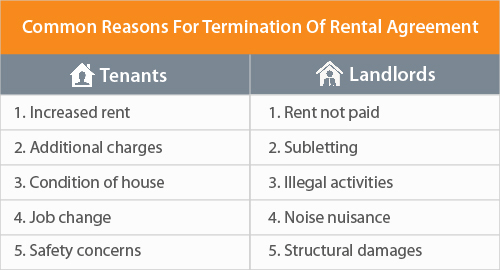 Why Terminate A Rental Agreement? Like mentioned earlier, a rental agreement or a tenancy agreement comes to an end automatically when its term expires. However, the agreement can be ended by either a tenant or an owner before the term is completed, under certain circumstances. While either party may have various reasons to choose to terminate the agreement, listed below are the most common ones. The owner may abruptly raise the rent or demand for more deposit fund/lease amount, observing the rising market trends, which is actually unfair to the tenants. The owners are not entitled to do so before the completion of term or without giving prior notice and time to the tenants. The first thing that annoys tenants is when owners ask for additional charges for water, electricity, maintenance, cleaning, etc which they would not have mentioned earlier. Tenants get annoyed with such added financial costs which would make them rethink about continuing in the same house. There may be issues such as leakage, seepage, bad odour in the neighborhood, health issues arised due to stay in the premise, malfunction fixtures, broken pipes, frequent power cuts, etc. which are definitely not welcomed by any tenant. The tenant may get an unexpected job transfer or a get a new job in another place, for which he/she would prefer to move without delay. Any neighbor or the owner may be getting into quarrels often or get into misunderstandings which would make the tenant’s stay very unpleasant. The tenant may feel that there is some sort of danger to his life, property or health, if he stays in the rented premise. Also, if there are incidents of frequent crime or any kind of mishaps in the neighborhood, the tenant may start feeling unsafe to continue residing in the same location. If a tenant fails to pay rent or deposit amount on time, or if the tenant repeatedly delays the payment, then the owner may opt to terminate the tenancy agreement. A tenant may sublet the property or a part of the premises to someone else without owner’s consent, which is undoubtedly unacceptable by the owner. Some owners may not tolerate even if there are too many visitors to the tenant’s house. If a tenant is found guilty of certain activities which are illegal, immoral, anti-social or anti-national, terrorist activities or storing of explosives or drugs in the premises, or carrying out any kind of criminal activities, then the owner has the right to terminate the agreement. Issues like turning up music high and hosting noisy late-night parties, would be annoying to the neighbours which would make them complain about the tenants to the owner. If occurring repeatedly, the owner may ask the tenants to vacate the house. Owners would not tolerate if their tenants cause any damage to the property premises such as alteration to the premises, extra construction or modification of the premises without owner’s consent, or if there is lack of maintenance of the premises, etc. However, terminating an agreement is not as bitter as it sounds to be. Even though legally there is an end between two parties, owner and tenant, that does not end the friendship or emotional bond between the two parties or their family members. The relationship may continue their whole lifetime and even open doors to many new avenues. 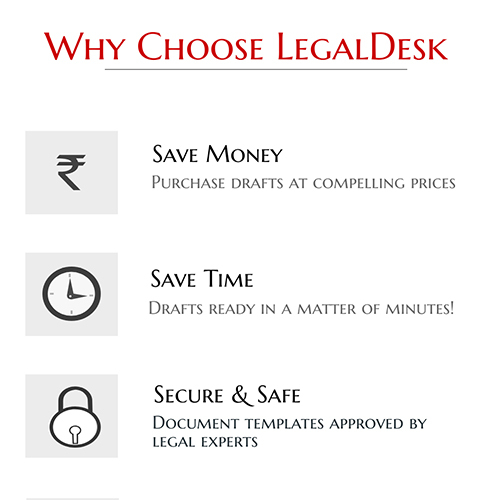 For all your legal needs, you can make use of our experts-drafted ready to use legal documents available online. And for drafting other legal documents which are not listed in our site, you can ‘request for a document service’ by using the button given on the same page. There are 5 comments on "Termination of Rental Agreement". We will direct you to our team of legal experts who will help you with your legal bound queries. What needs to be done at the registration office where the leave and license was registered in case of termination of the agreement? The rent agreement ending by the end of july and if the landlord is out of the country due to some reasons and back after a couple of months, then what is the procedure for the termination? Is it Ok if the Tenant gives notice in written on simple paper duly signed by him? Also is it Ok If the Tenant given in written that he received deposit on simple paper duly signed by him? It is Registered Leave and Licence Agreement.